A trip to a good bookstore is about more than just picking up a new novel: you’ll understand if you’ve ever stepped foot in one. These are the places where the shelves are packed from floor to ceiling with interesting titles, the booksellers themselves are knowledgeable, friendly and likely to know better than you what it is that you’re looking for, plus there is an atmosphere that makes you feel comfortable enough to browse for hours. And a good bookstore, of course, offers well-placed comfortable chairs, which you can sink into, new book in hand, surrounded by the smell of fresh coffee. The sad truth is that with the prevalence of internet bookstores places like this are in danger of dying out – in fact approximately half of UK bookstores have closed in the last decade. So if you believe in the pleasure of browsing free from Amazon’s ‘suggested titles’, with the chance that you might just discover something new, then read on. 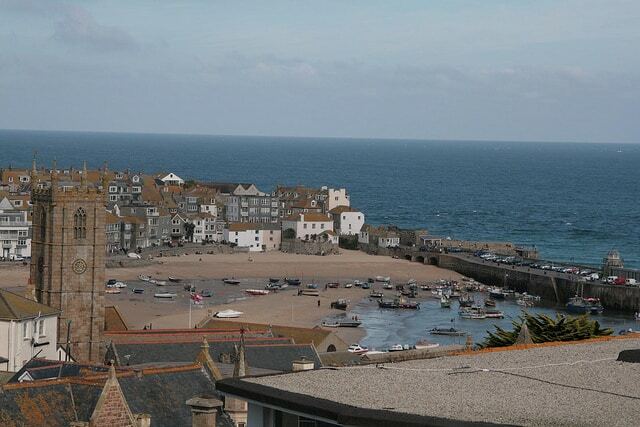 Tucked away in a narrow street in the pretty seaside town of St Ives, is the St Ives Bookseller. This is a true independent bookshop, filled with solid oak bookcases, which are in turn crammed with and a wide range of fiction, children’s, local interest titles and more. The staff are ever-friendly and the shop also hosts a programme of regular book signings and events to keep their customers rolling in though the doors. It certainly seems to be working, as the St Ives Bookseller was the proud winner of the 2012 South West regional prize for Independent Bookseller of the Year. What’s best about this shop is it’s just seconds from the beach, so, after you’ve enjoyed its inner delights, you can amble down to the sea and enjoy a few hours relaxing to the sound of seagulls and waves, with your new title safely in hand. A true institution in the city of Oxford, Blackwell’s Bookshop offers room upon room of beautiful books that will keep any booklover entranced for hours. The shop also has a particularly good selection of rare, collectable and antiquarian titles, which attracts customers from all over the world. It’s not unlikely that you may bump into a famous literary face here either, as author Ian McEwan is a regular visitor to the store and Phillip Pullman, the creator of Northern Lights lives just minutes away. 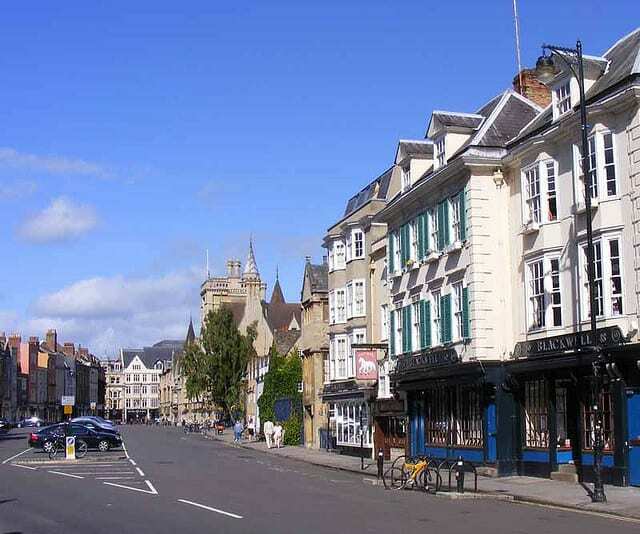 The shop is surrounded by some of Oxfords most famous colleges, as well as being a stone’s throw from the magnificent Bodleian Library, which all make for excellent sight-seeing afterwards. This wonderful Shropshire bookshop was voted on of the Top 50 bookshops in the country by The Independent – and it’s no surprise why. Along with a great selection of books, Booka Bookshop has a fabulous café, serving fairtrade coffee, tea and delicious homemade cakes – their sticky lemon drizzle takes a bit of beating! With events happening as often as weekly, it’s a bustling, busy, bookshop that is very much a part of the community, plus love the idea of their ‘Book and a Beer Book Club’, which anyone is welcome to join! Bookshop, performance venue and gallery, The Society Club in Soho offers more than just the chance to pick up a great read. In fact, it also serves classic cocktails and welcomes dogs! It’s very eccentric and great fun. The owners also offer a ‘Book Hunting Service’ where they will search out hard-to-find titles for their customers and are always on hand to give suggestions. This is a quirky place to while away an afternoon – though you’ll probably spend more time enjoying the people watching, than you will reading. This very old bookshop has been trading in the picturesque village of Grasmere in the Lake District since 1887. Sam Read Bookseller is almost always open, warm and inviting and it seems ready for a customer at any time. In an area with connections to Wordsworth, Coleridge and the Romantics, John Ruskin, Beatrix Potter and Arthur Ransome it’s no surprise really that it’s survived but it would be unfair to attribute it’s success solely to it’s location. Read’s stocks everything from the latest releases, to modern classics, as well as having an impressive selection of modern poetry. As the store is a stone’s throw from Dove Cottage and the birthplace of modern Romanticism it would be a shame not to make a visit there too. This newly decorated bookstore in Suffolk is the clearly the project of true booklovers. Browsers is small in size but full of fantastic reads, with the ideal atmosphere for some seriously relaxed browsing. It has helpful, unobtrusive staff, who know their stock and are proud of it but also don’t mind if you just want to come in and take a look around. Don’t leave without visiting the café, which serves a range of scrumptious homemade cakes – all made with recipes taken from their own selection of cookery books! They also have a Children’s bookshop just over the road, so you can set the kids free in there before settling down to a good browse yourself. Bliss. If you have been inspired to make a visit to one of these fabulous UK bookstores, why not team up a visit with some great accommodation and a weekend exploring a new corner of the country. Sometimes it’s the simple pleasures that can be most refreshing – we assure you you’ll come home feeling reconnected and inspired, with some great new titles to add to your own library. Note: this post is brought to you in partnership with Latitude 50. Really love this list! When I’m travelling I always find myself spending countless hours in bookshops despite having a ton of things on my list. I rarely leave a city without buying a book or two, for me it’s the best souvenir, way more appealing than magnets – can’t stand those. Booka Bookshop is amazing and I’m always eager to try their cake. They get a huge bonus for their staff, they’re happy to assist you and make you feel more than welcome. Very informative. I will share this article with the followers of The BookCase Project. I love visiting venerable booksellers. What a great tour! I really like the bookstores the was featured on Twilight and Notting Hill, they are both classic and of course got your favorite books. I am currently reading Paulo Coelho’s “The Alchemist”. Although I hope a strong trade in first hand book shops will survive! There is a small second hand and antiquarian book store in Penn, Buckinghamshire called the Cottage Bookshop. Its well worth of visit and mention! Great post Keith! Davina and I are just bookstore addicts and we love how you can pick up “3 for 2” and “3 for £10” in UK bookstores. We just don’t get that here in SA. Love this list! I like British bookstores, they are classical version of bookstore in my mind. It’s better if you also take pictures of inside the bookstores tho. But, I’ll find it out on my own. Thanks, Keith! Hi Vicky, thank you for your lovely comment and the additional tips! Let’s not forget all the amazing second-hand bookshops there are in England. 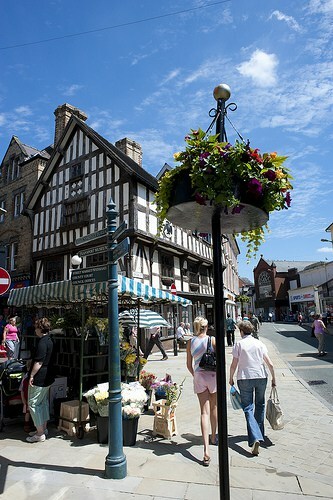 Hay-On-Wye (actually just on the Welsh side of the border) is full of second-hand bookshops. 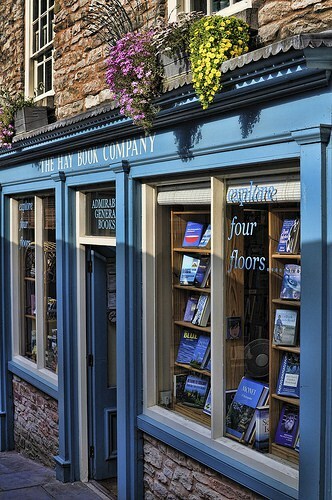 Another great place for second-hand books is Alnwick in Northumberland, home of the huge Barter Books.